2018 Lexus GX460 – Let’s take a good look at the new 2018 Lexus GX460 and decide whether this car is a good choice or not. What you get is a large three-row SUV which comes with a very stylish design. 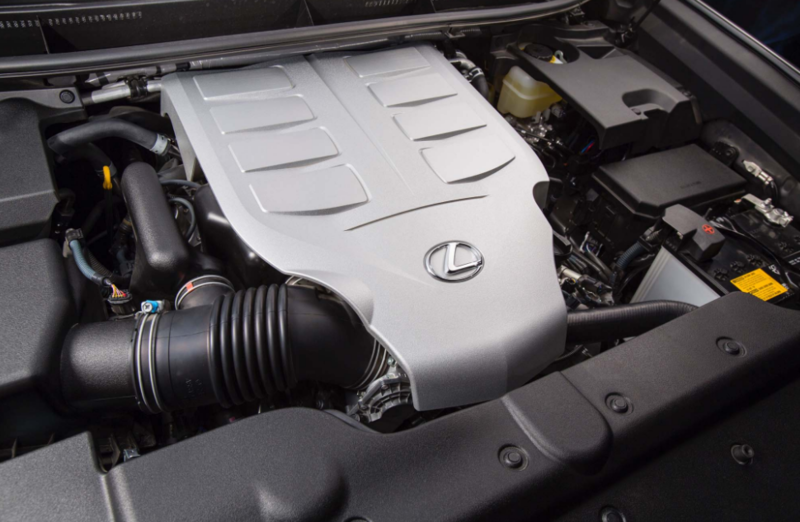 The new Lexus also offers more power, superior interior space, and better fuel economy. There are lots of things that you can like about the new GX 460. To find more features offered by the new model, keep reading the rest of our review here. What is New for 2018 Lexus GX460? Well, for those who are serious to get the new 2018 Lexus GX460, then buyers probably want to venture off-road it. The biggest issue that we have found so far is that the new Lexus’s ground clearance is worse than other crossovers that we have tried. As we have said earlier that the new Lexus GX460 is actually a large three-row SUV which is available in the Base and Luxury trim levels. Both models are equipped with a 4.6-liter V8 engine which can deliver 301 horsepower. Those models are also available with four-wheel drive and a six-speed automatic transmission. The base model comes with some standard equipment such as running boards, LED headlights, a full-size spare tire, 18-inch wheels, a rearview camera, a sunroof, and keyless ignition and entry. Inside of the base model, buyers can find power adjustable front seats, simulated leather upholstery, driver-seat memory settings, power adjustable front seats, and some infotainment features. 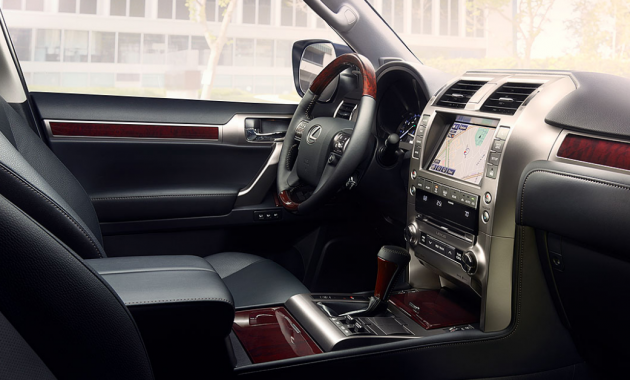 These infotainment features include vehicle services, Lexus Enform Emergency, and also a nine-speaker sound system. There are also some stand-alone options which are available. These stand-alone options include LED foglights, a blind spot monitoring system, a navigation system, and ventilated front seats. The Luxury trim is the next choice that you can consider if you need more features. It has all the features mentioned earlier, but it also adds more features. For example, the Luxury trim adds power-folding and auto-dimming mirrors, an adaptive and auto-leveling suspension, a rear cargo cover, and upgraded leather upholstery. 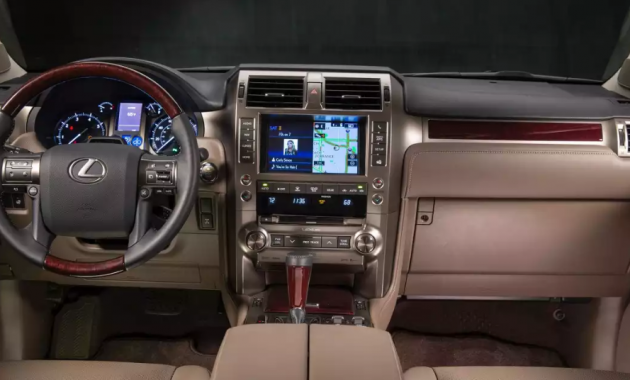 The biggest difference between the Base and Luxury is that some features such as a two-screen rear seat entertainment system, a 17-speaker Mark Levinson sound system, and the Driver support package are only available on the Luxury. The new Lexus is quiet and it comes with the climate control which will please everyone. The seats also offer good lateral comfort and they look comfy. However, buyers may notice that the seatbacks and leather seat bottoms feel flat. The car is generally smooth, thus there is no big issue that we have found so far. Please note that the car looks great inside and all controls are also easy to operate. What we really like is the use of the sound system which is really strong. The base model starts at $52,850. If you want to go with the Luxury, then it will cost you around $62,320. As for its release date, 2018 Lexus GX460 will be available in 2018.